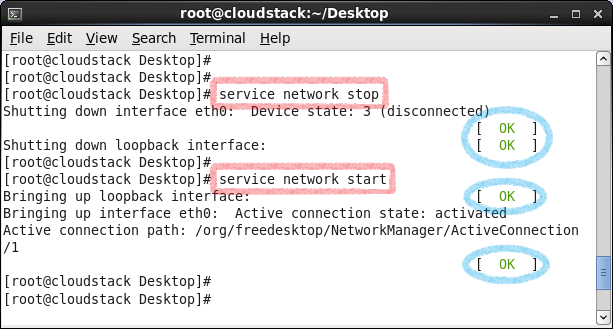 Recently I ran into this issue of setting up a Fully Qualified Domain Name (F.Q.D.N) on a RHEL Server. Did a bit of Googling and found a lot many good ways to set a F.Q.D.N, so thought of sharing the same with you. The following steps should work on Red Hat, CentOS and Fedora based Linux flavors. 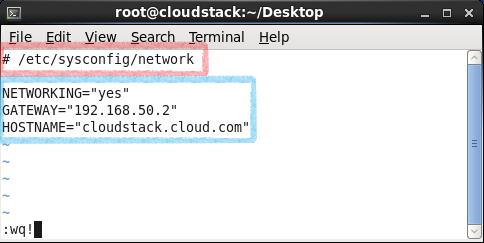 Here, I needed to set this particular RHEL server's F.Q.D.N as "cloudstack.cloud.com"
The first thing to do is create a new file called "hostname" in the /etc/ directory as shown below. You can use any editor to edit the file. Write the system's F.Q.D.N in this file and save it. The final thing to do is edit the file /etc/sysconfig/network and add/ update the parameter HOSTNAME according to your needs. Save the file once you have set the new hostname.